Brunetti, author of the two phenomenal beginning reader titles, above, has taught cartooning at Columbia College Chicago for many years, bringing a wealth of information, as well as an understanding of how to present it to kids, to this topic. 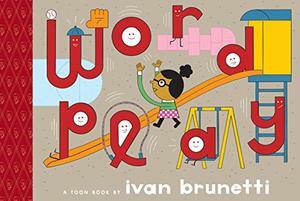 With contributions from more than fifteen luminaries from the worlds of comics and kid's books, Brunetti's book is kind of Scott McCloud's Understanding Comics presented by Ed Emberly. By that I mean, Comics: Easy As ABC! 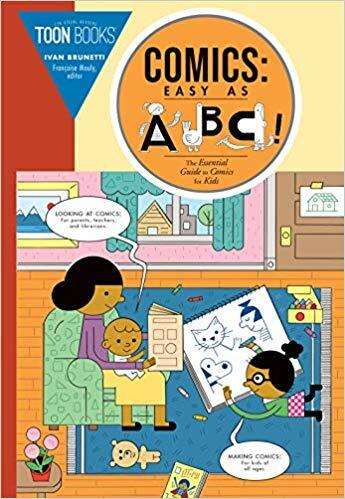 is a step-by-step-how-to, covering everything from basic shapes and faces to perspective and the vocabulary of comics presented in a straightforward way that is easy to follow and engaging for kids. At the same time, Françoise Mouly, Editorial Director, Editor, Book Designer, founder of Toon Books ten years ago and art editor of The New Yorker for more than twenty-five years, and others dedicate themselves to (once again) holding up comics as a valid medium, a complex and rich medium and, basically, a medium of book that it's o.k. for kids to read . . . The message that kids love comics and kids can make comics is clear - and valid. While the pages of this book feel packed with ideas and images, the progress and layout makes perfect sense for newbies and kids who have experience with drawing and sequential storytelling. 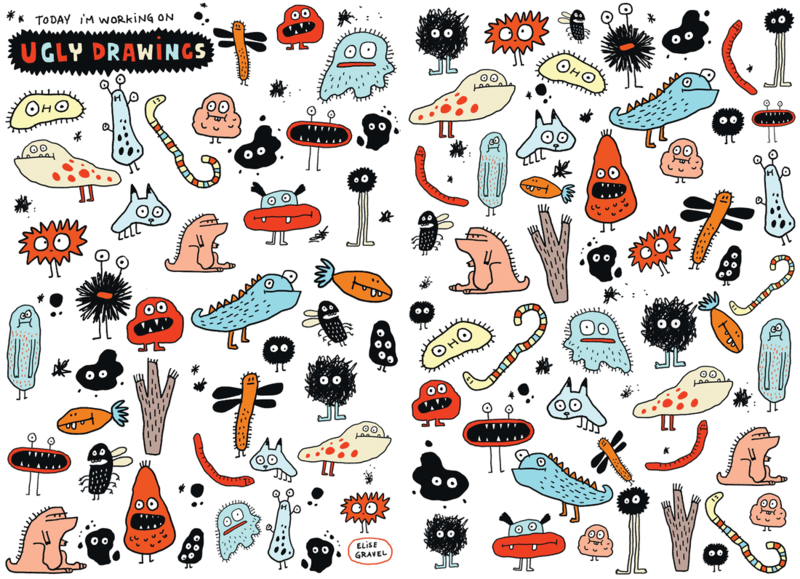 Best of all, Brunetti's illustration style makes his lessons feel extremely doable. Starting with a primer on basic shapes and marks, he moves on to faces, emotions and profiles. 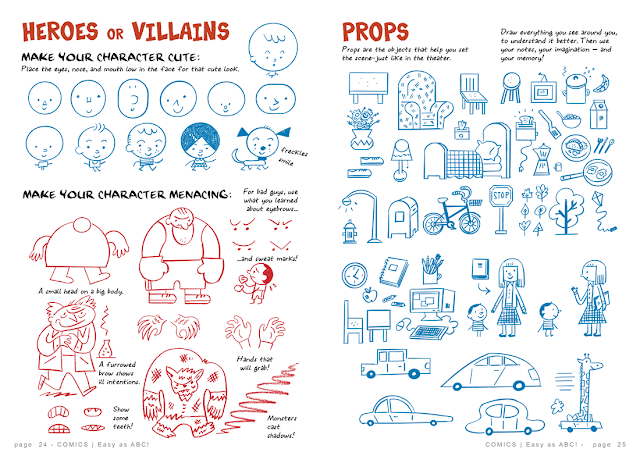 A two-page spread titled, "ABCs Come to Play" encourages readers to turn the alphabet into characters, something I know all kids will jump on. Getting more technical, body type, body language, comics language, point of view and perspective are tackled. At every step, contributors offer words of advice, encouragement and humor. 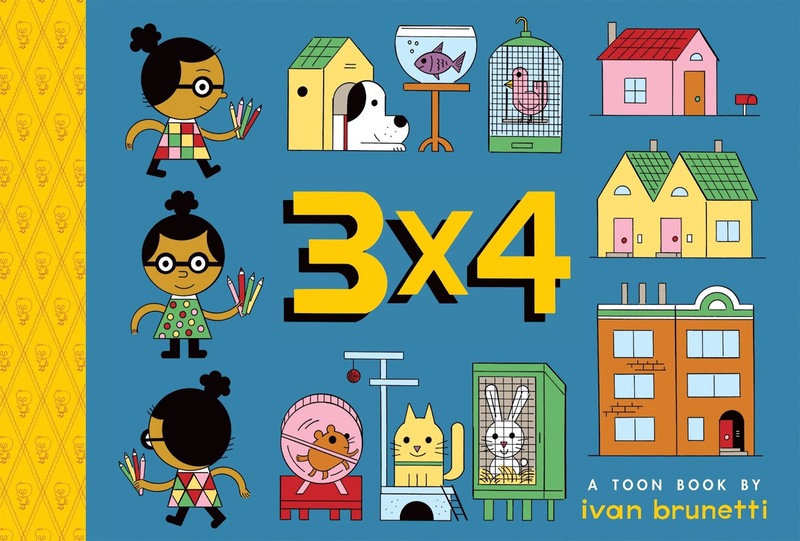 Kevin McCloskey, author of four non-fiction Toon Books (reviews here) tells readers that, "The best comics are not just characters standing stiffly, talking back and forth. Comics can do more. Zoom in on the eyes to show expression. Zoom out to show we're on Mars! Use your imagination!" While Lemony Snicket reminder readers, "If your drawing of an animal does not turn out the way you like, remember that the animal probably wouldn't draw you very well either." On a page titled, "Draw Your Own Conclusion," Art Spiegelman creates a five panel comic in color, leaving the last (and biggest) panel half empty, inviting readers (book owners???)) to finish it! 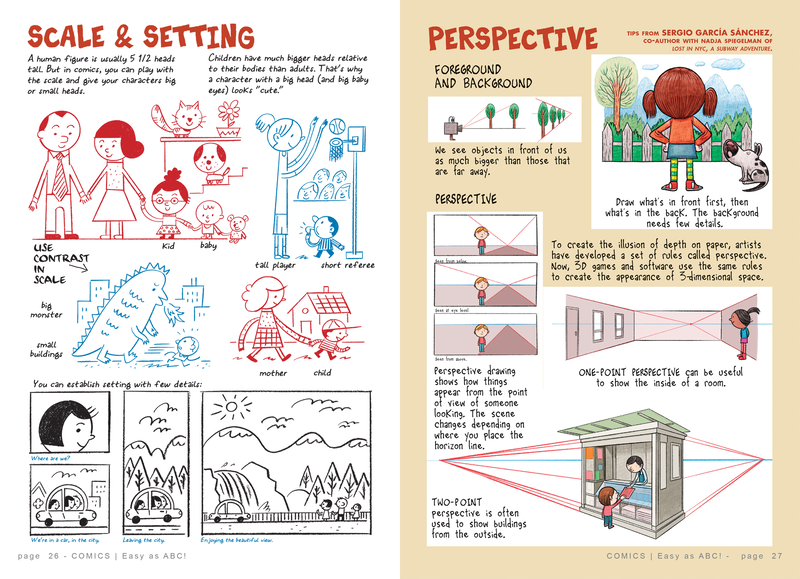 Back matter includes an index, a glossary, a topical bibliography and pages for parents, teachers and librarians on "How to Read Comics with Kids."